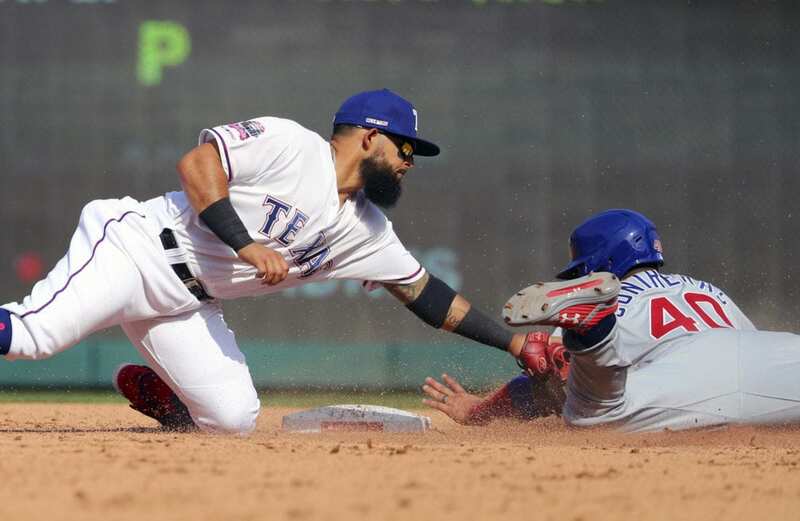 ARLINGTON, Texas (AP) — Javier Baez had a slight smile on his face when he was asked how different he felt playing shortstop and hitting cleanup for the Chicago Cubs. Two big swings on opening day indicate he’s picking up where he left off last season. 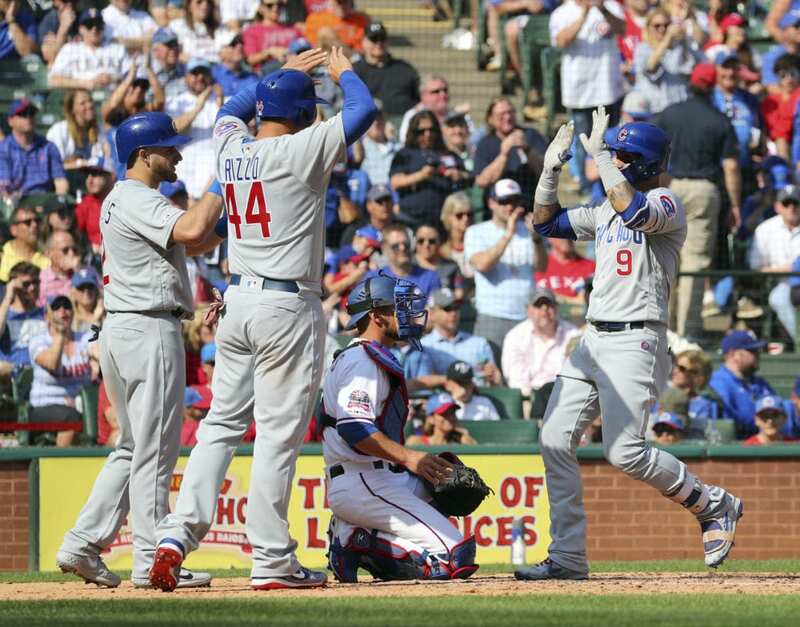 Baez homered twice, Jon Lester won for the first time in his last five opening day starts and the Cubs began the season with a 12-4 victory Thursday at Texas, spoiling the debut of new Rangers manager Chris Woodward in the 26th and final opener in their current ballpark. While batting everywhere in the lineup except ninth, Baez hit 34 homers and led the National League with 111 RBIs last season, when he finished second in MVP voting and was the starting second baseman in the All-Star Game. 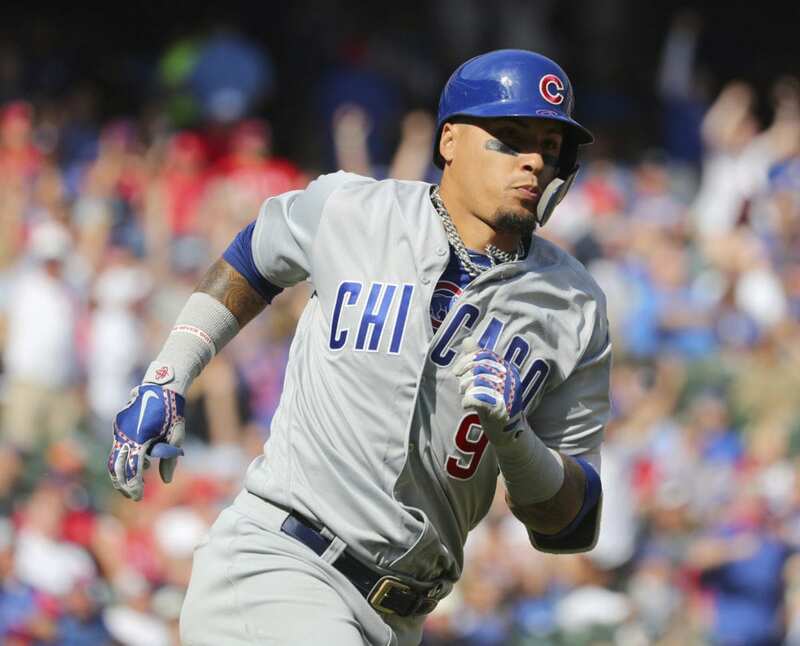 With Addison Russell completing his 40-game suspension for violating MLB’s domestic violence policy, Baez opened this season as the starting shortstop. Barring no postponements, Russell could be eligible to return in early May. 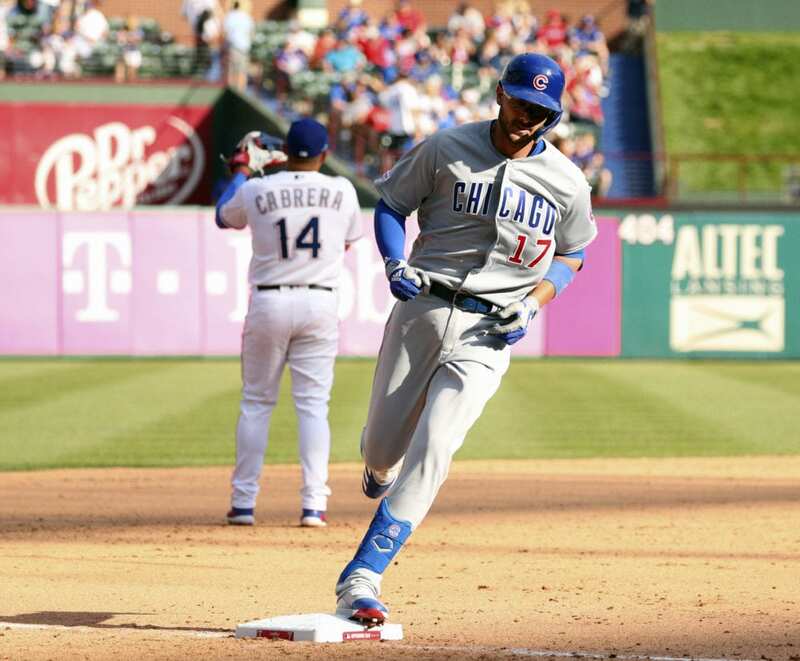 Kris Bryant added a two-run shot for the Cubs, opening their fifth season under manager Joe Maddon after four playoff appearances in a row that included the 2016 World Series title. 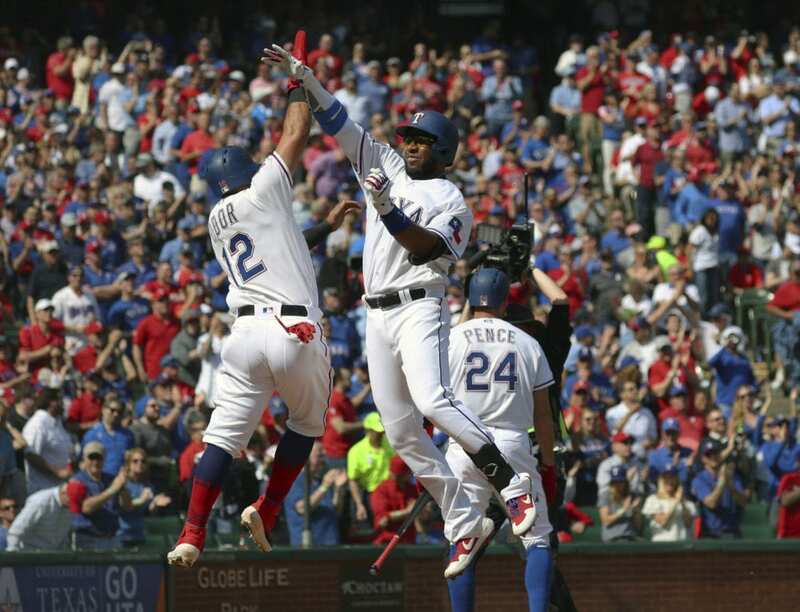 Elvis Andrus and Nomar Mazara each hit a two-run homer for Texas, which matched its most lopsided loss in a season opener. The Cubs led 7-2 in the fifth after Baez greeted reliever Jesse Chavez with a three-run homer on the right-hander’s first pitch. That was an inning after Baez hit a solo shot, when he reached out almost one-handed to pull an 82 mph 0-2 breaking pitch from Mike Minor (0-1) into the left-field seats. Lester (1-0) limited Texas to two runs over six innings to win his first opening day start since 2013 with the Red Sox. 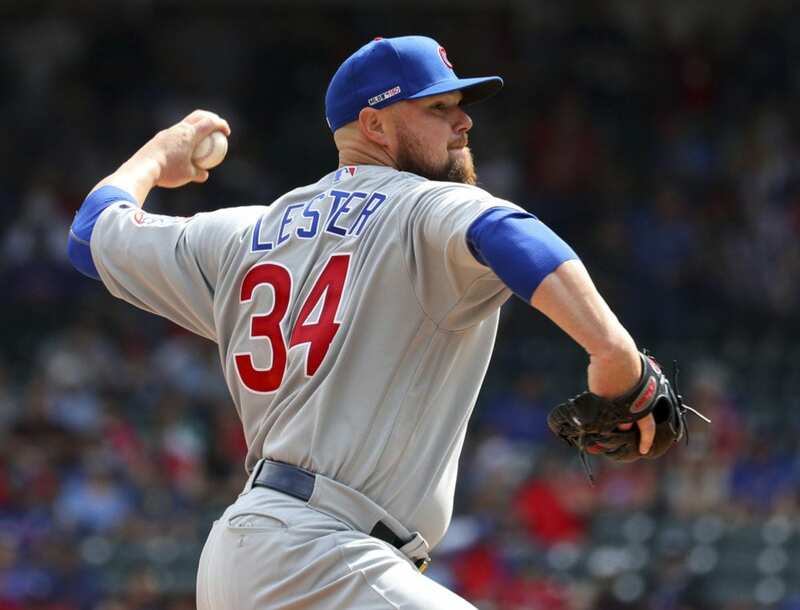 The lefty lost Boston’s 2014 opener, and dropped his debut with the Cubs in 2015 before no-decisions the last two years. Minor, the only holdover from last season’s Rangers rotation, made his first career opening day start. He permitted six runs and five hits over 4 2/3 innings. Woodward, the 42-year-old former utility infielder who played 12 big league seasons, was the third base coach for the Los Angeles Dodgers the past three seasons — and last two World Series. Minor and six Rangers relievers, including two making their big league debuts, combined to allow 13 hits and eight walks. 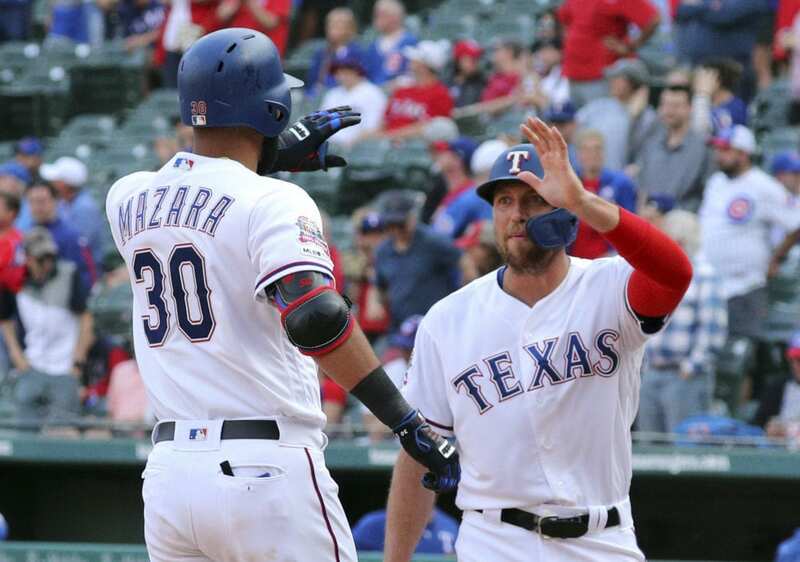 Andrus, the 30-year-old shortstop and the longest-tenured Rangers player starting his 11th season, homered in the third and had three of the four hits allowed by Lester. Mazara’s drive with two outs in the ninth that went in the upper deck in right field was projected at 482 feet. Asdrubal Cabrera is the starting third baseman for the Rangers with Adrian Beltre now retired. The two-time All-Star shortstop, who signed a one-year deal before spring training, had a defensive gem in the second inning when he backhanded a chopper near the line, then spun and made a strong throw to get David Bote out at first. Cubs: RHP Yu Darvish, after throwing a bullpen, said the blister on his ring finger is healing and he will be ready for his first start of the season Saturday. Rangers: LHP Yohander Mendez (strained elbow ligament) was put on the 10-day injured list, retroactive to March 25. The 24-year-old rookie is expected to miss the first half of the season. Cubs: Darvish, who started his major league career with Texas in 2012 after seven pro seasons in Japan, pitches against the Rangers for the first time since they traded him in 2017. Rangers: Lance Lynn’s only previous appearance at the Rangers’ home ballpark was as a rookie with St. Louis in the 2011 World Series. The right-hander on Saturday makes his first start for Texas since signing a $30 million, three-year deal as a free agent in December. 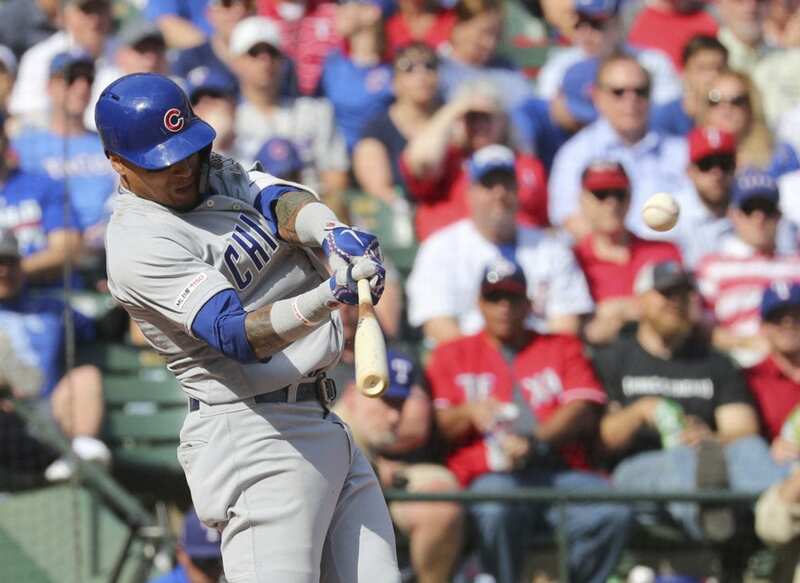 Be the first to comment on "Baez Hits 2 HRs As Cubs Open Season With 12-4 Win At Rangers"